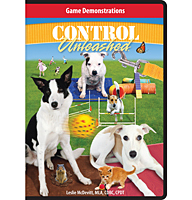 Control Unleashed®: Creating a Focused and Confident Dog was written as a problem-solving book to help handlers with mature dogs that were having behavior problems during canine-sport training or competition. This book is different. 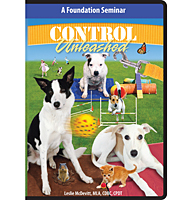 Control Unleashed®: The Puppy Program is meant as "preventive medicine" for puppy raisers. Many common behavior problems can be either prevented or minimized by starting a puppy with good foundation training from the beginning. 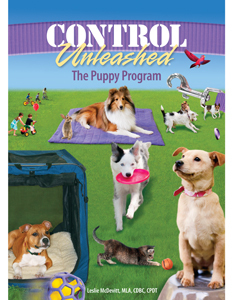 In addition, this book provides a program that will help you create a puppy that is ready for sport-specific training at the appropriate age—a puppy with the ability to focus on whatever you want, for as long as you want, whenever you want. "Paying attention" is its own skill set and teaching it should be separate from teaching your puppy more complex behaviors. Without attention, you won't get as far as you want with all those other behaviors you're going to teach because it's likely they will fall apart in the face of distraction. 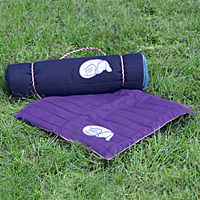 So it is wise to teach the attention skill set as the "base of operations" for your puppy training. 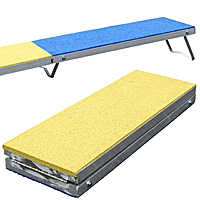 The attention skill set includes: Discrimination skills, self-control skills, and arousal regulation skills. 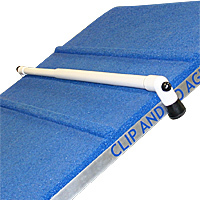 The concepts and suggestions in this book can also be used for rescue dogs that, like puppies, are starting out as "blank slates" as far as your training is concerned. 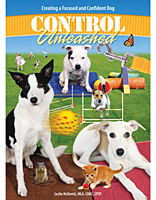 Chapter 1: What Is Puppy Control Unleashed®? 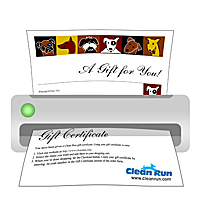 Chapter 26: Look at That!